New York City announced new Wi-Fi hotspots in several public parks around the city on Tuesday. The city partnered with two major cable providers, Cablevision and Time Warner, for the roll-out though it comes with a major caveat. You need to be a subscriber to one of those two services in order to use the hotspots for an extended period of time. That means wire cutters and New Yorkers such as myself, who subscribe to competing services, are left out in the cold… sort of. The Wi-Fi hotspots are available to everyone, but only for 30 minutes each month. That's not much time, not at all considering the things we can do online these days, but New Yorkers can also opt to pay a small $0.99 fee for a full day of use. Subscribers to Cablevision and Time Warner, of course, have free access at all times. New York City has been a hotbed for technology. The city recently deployed solar-powered AT&T charging stations and activated wireless signals in several subway stations. AT&T, meanwhile, has been offering hotspots around the city for quite a while now. Citywide Chief Information and Innovation Officer Rahul N. Merchant, Department of Parks and Recreation Commissioner Veronica M. White, Chief Digital Officer Rachel Haot, Cablevision Senior Vice President of Government and Public Affairs Lee Schroeder, and Time Warner Cable Vice President of Government Relations for New York City Cathleen Sims today announced the launch of new WiFi service in 32 New York City parks. New Yorkers and visitors can now connect to the Internet for free using their smartphones, tablets, laptops, and other WiFi-enabled devices for free up to 30 minutes each month, and for 99 cents per day. The NYC Parks WiFi service is free at all times to Cablevision and Time Warner Cable broadband subscribers. Additional WiFi park locations across the city will be launched on a rolling basis as part of this program negotiated by the Department of Information Technology and Telecommunications (DoITT). The event was held this morning at St. James Park in the Bronx – one of the more than 30 locations offering the newly-launched service. "With NYC Parks WiFi we're further transforming New York City into a hub for connectivity and extending the reach of broadband citywide," said Citywide Chief Information and Innovation Officer Merchant. "Negotiated as part of franchise agreements with Time Warner Cable and Cablevision Systems, this initiative expands WiFi service to millions of New Yorkers and visitors in some of our City's most beautiful and historic sites. We are advancing the Bloomberg Administration's vision of the digital city and leveraging the City's franchising authority for the public good." "Parks are not only great places for relaxation and recreation, they are also ideal for surfing the net," said NYC Parks Commissioner Veronica M. White. "Thanks to our partnership with DoITT, NYC Digital, Cablevision, and Time Warner, more New Yorkers will be now able to enjoy WiFi access in their local parks. As we become an increasingly digital city, we are pleased that this agreement is facilitating more than 30 new sites coming online in all five boroughs." "Increased access to public WiFi is one of the most popular requests we hear from New Yorkers, so today's announcement will be welcome news to residents and visitors alike," said Rachel Haot, New York City's Chief Digital Officer. "By connecting more New Yorkers, we're able to achieve the City's goals of Internet access and engagement, underscoring Mayor Bloomberg's Digital Roadmap." "I'm excited about the opportunity of bringing free WiFi to constituents in district 14. Being able to go on the Internet has become a need, so it is great that New Yorkers surrounding the parks are going to have an alternative way to stay connected and move forward with technology. Access to free Wi-Fi adds a new meaning to the word 'playground,'" says Council Member Fernando Cabrera. NYC Parks WiFi, provided by Cablevision and Time Warner Cable, will be maintained through July 2020 as part of these companies' franchise renewal agreements negotiated with the City and finalized in 2011. The agreements include a $10 million investment fund for WiFi deployment in parks and public spaces across the five boroughs. Hotspots will be distributed throughout City parks, with the majority of the locations in the outer boroughs. The goal of the program is equip areas currently lacking widespread Internet access with high-quality WiFi. These services are in addition to existing WiFi service in parks provided by AT&T and other organizations. "We are proud to continue our long partnership with New York City to expand Optimum WiFi into the city's public parks. As a WiFi leader, Cablevision has the nation's largest and most advanced WiFi network with more than 80,000 hotspots throughout the Tri-State area, and this initiative enables our customers to easily, automatically connect to WiFi and help save on expensive cellular data charges," said Lee Schroeder, Cablevision senior vice president of government and public affairs. "We look forward to working with the City to deliver an exceptional WiFi experience for park visitors and to expand WiFi into more locations." 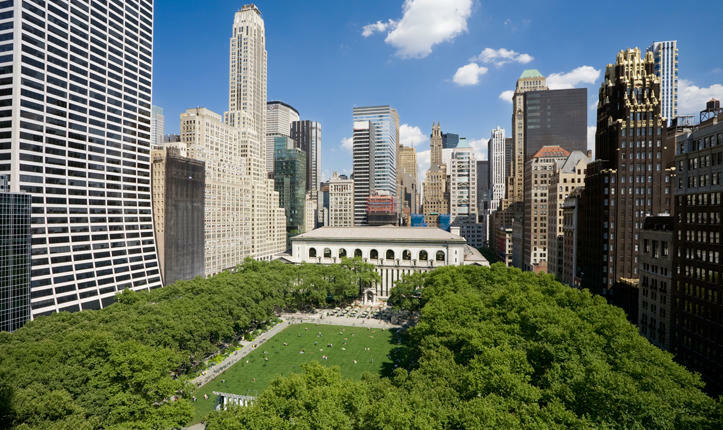 "WiFi deployment is a top initiative for Time Warner Cable, and we're proud to partner with DoITT and NYC parks to bring WiFi access to parks throughout the City," said John Quigley, Time Warner Cable's Regional Vice President of Operations for NYC. "These hotspots join tens of thousands of TWC WiFi™ Hotspots now available throughout New York City and the tri-state area allowing our customers to conveniently enjoy free, on-the-go Internet access." NYC Parks WiFi now includes hotspots in the following parks across the five boroughs, with more locations coming soon. NYC Parks WiFi provides a fast connection to the Internet from portable devices. Guests can login for free for 10 minutes at a time, up to three times in a 30 day period. The service is also available for 99 cents per day for a single device. Qualified Internet subscribers from Cablevision, Time Warner Cable, Comcast, Cox, and Bright House Networks will be able to access NYC Parks WiFi free of charge at all times. In addition to paying the City a franchise fee of five percent of the revenues generated from its cable television services – the maximum percentage permitted by Federal law – as part of their franchise agreement renewals, Time Warner Cable and Cablevision Systems also agreed to a range of technology enhancements to public parks, community centers and organizations, commercial centers, and the City's telecommunications infrastructure valued at more than $60 million. The franchise contracts, which run through July 18, 2020, were negotiated by the Department of Information Technology and Telecommunications and unanimously approved by the City's Franchise and Concession Review Committee in August 2011.